For the second consecutive year, two staff members of Care Initiatives Hospice are traveling to Washington DC to advocate on behalf of Iowa’s hospice patients and providers. Social Worker Sue Flemming of Sioux City and Volunteer Coordinator Kristie Sents of Waterloo feel that this return trip will continue to ensure support for hospice care at the end of life. Palliative Care Organization. The topic of the training will be how to discuss certain aspects of hospice that may be contentious with particular political policies. “We will learn how to effectively deliver our message to policy makers,” Flemming says. “Early on the morning of the 14th, we’ll caucus with the other advocates from Iowa and find out who we’ll be meeting with,” Sents said. “Then, we will actually meet with our Iowa senators, representatives, or their staff to present our issues and hopefully have an impact on their policy decisions that affect our patients,” Flemming added. The overall objective, Flemming and Sents said, is to reinforce relationships we developed last year and educate our policy makers about hospice issues while emphasizing the importance of each decision they make and each action they take. “My hope is the action we take today will positively impact Iowans tomorrow who deserve the same emotional, spiritual, and physical support hospice provides at the end of life,” Flemming said. Care Initiatives Hospice provides compassionate care throughout Iowa for those in their final stages of life. Serving 64 counties throughout Iowa via our Des Moines, Cedar Rapids, Greenfield, Albia, Waterloo and Sioux City offices, our approach addresses the physical, emotional and spiritual needs of those facing life limiting illness for themselves and their families. 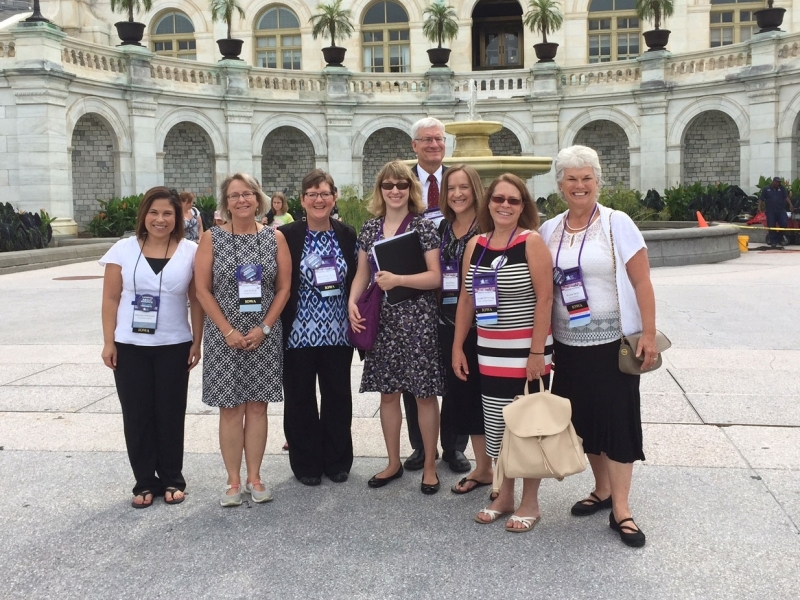 For more information about the trip to Washington D.C. or about Care Initiatives Hospice, call 515-223-3813.